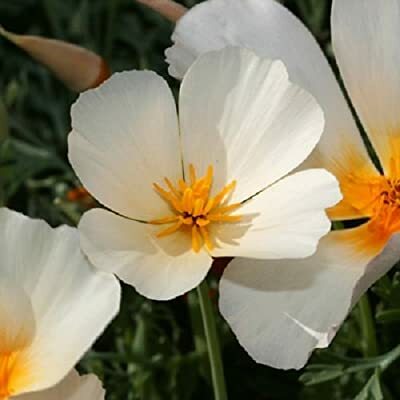 White Linen California Poppy Seeds! - 1500 Heirloom Seeds! - SUMMER SALE! 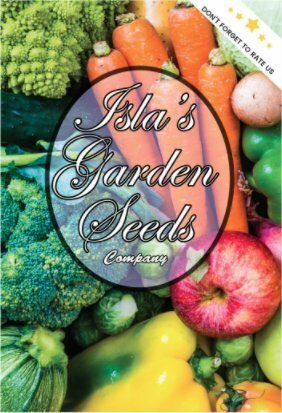 - 88% Germination - (Isla's Garden Seeds) - Total Quality! Product prices and availability are accurate as of 2019-04-13 22:18:59 EDT and are subject to change. Any price and availability information displayed on http://www.amazon.com/ at the time of purchase will apply to the purchase of this product. It is a perennial or annual plant growing to 5-60 in (13-152 cm) tall with alternately branching glaucous blue-green foliage. The leaves are alternately divided into round, lobed segments. 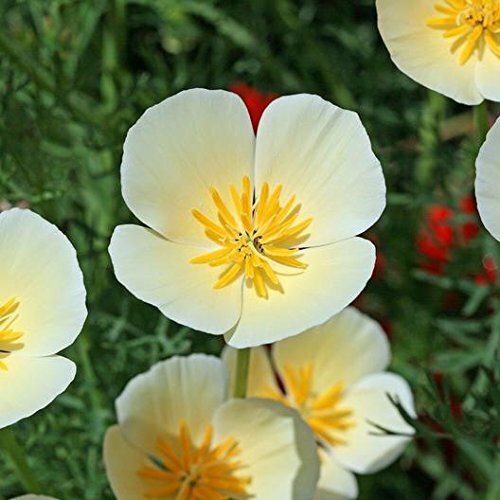 The flowers are solitary on long stems, silky-textured, with four petals, each petal 2 to 6 cm (0.79 to 2.36 in) long and broad. Flowering from February to September in the northern hemisphere (spring, summer, autumn). The petals close at night (or in cold, windy weather) and open again the following morning, although they may remain closed in cloudy weather. 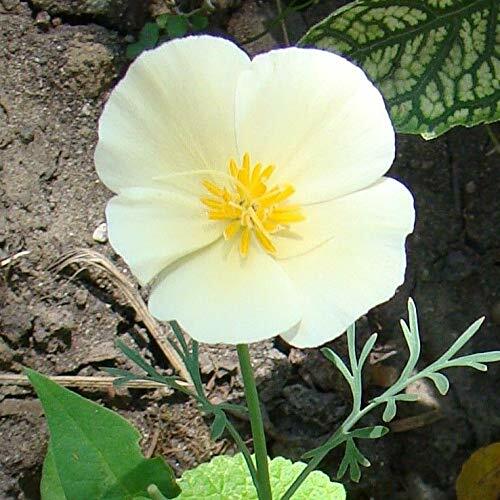 The flowers are White and tend to be 12-18 inches tall once they mature, with beautiful blueish green foliage that branches out alternately. 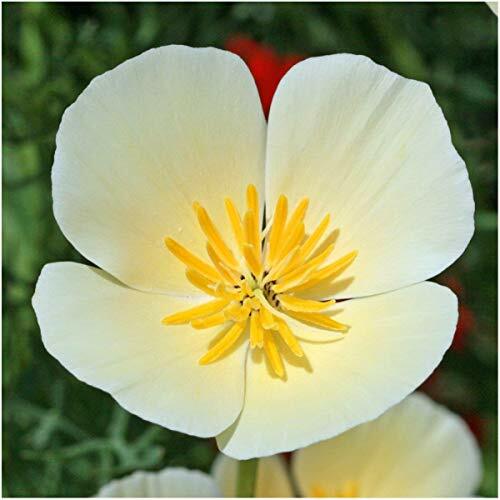 Each stem has a solitary flower with four large petals that will close in the nighttime or when it gets cold, but will reopen when conditions brighten or warm. The soil must be average or well-drained in order to have optimal results. The flowers will tolerate sandy soil and loamy soil.